Membership at the Discovery Center of Idaho brings you closer. Visit more often. Take advantage of our educational programming. Discover more. 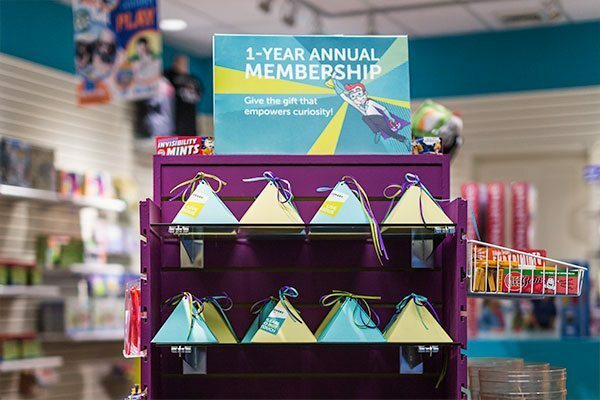 If you plan to visit the Center just 3 times a year, membership pays. More importantly, your support is appreciated! Join us at the Botanical Garden Saturday, April 20th from 11am-3pm! 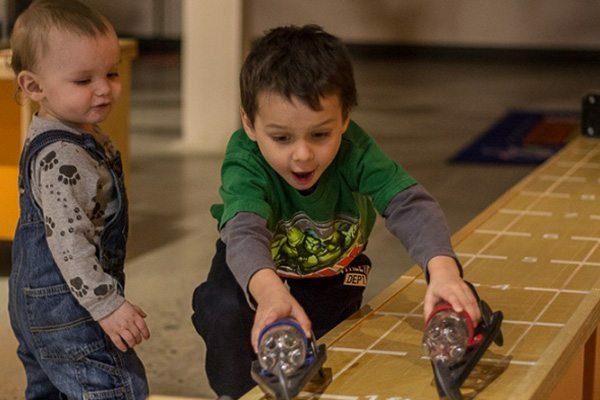 Imagine, engineer, and build with Discovery Center of Idaho hands-on activities! We will have LEGO and KEVA blocks to construct whatever your imagination conceives, plus robotic and coding challenges and creations. And, don't miss your chance to see one of our traveling displays, a hands-on slime station! Join us for a family-friendly outdoor celebration! This FREE event focuses on connecting families with quality community resources, such as summer camps, after-school programs, early literacy, healthy eating, child care and more! Each vendor booth offers an activity for young children, such as an art project or a new skill to learn. Plus, you can enjoy live music by Blank Check and Boise Rock School, performances and food trucks! This is also a great opportunity to explore the Idaho Botanical Garden. Show your support for the Discovery Center of Idaho by eating at Panda Express on Tuesday, April 30th between 10am-11pm! Show this flyer in store or enter 267698 in the promo code box when ordering online! 20% of event sales will be donated to the Discovery Center of Idaho to support all programs. May the 4th Math Day! Become a Pythagorean Padawan as you sharpen your Jedi math skills during our special Math Day event. Come experience the epic phenomenon of Wave-Particle duality in the world of Quantum Mechanics with Physicist James McQuoid. Enjoy math themed games and activities all day, and make sure to stop by between 12pm-2pm to meet our special Star Wars® guest thanks to EverAfter Enchantments LLC! *Spring means busy field trips season at the Center! Call ahead if your group is sensitive to large crowds and sounds. Unattended Child Policy: Children under the age of 12 may not enter the Discovery Center of Idaho unless accompanied by a person of the age of 16 or older. Group rates apply for groups of 10 or more using a single form of payment.